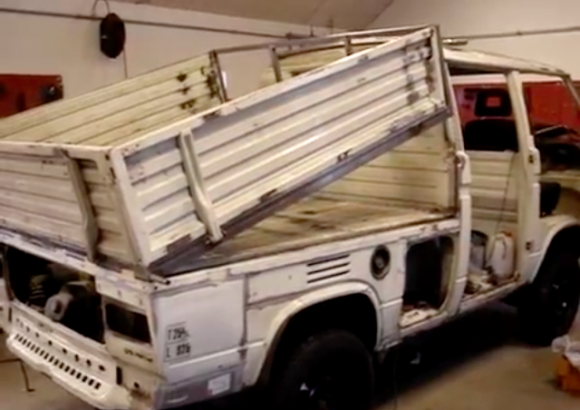 Check out this VW T3 Syncro dump truck in action. It looks like they are rebuilding this thing from the ground up and getting it all to work. Click through for the video. It sure makes a lot of noise! 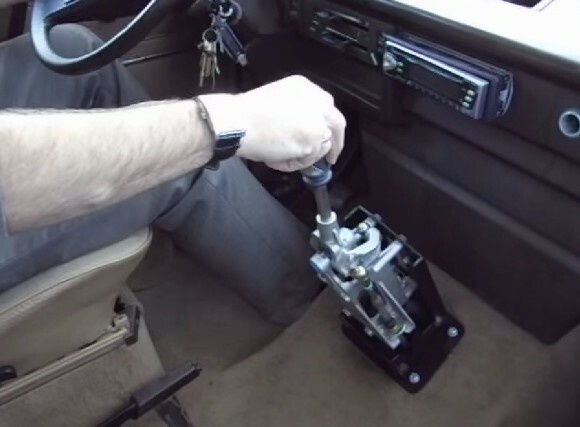 If you have run out of easy mods for the Vanagon and are looking for something more challenging, check out this cable shifter mod. 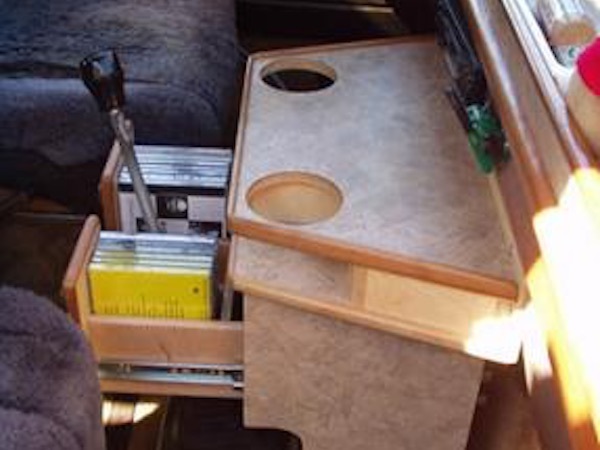 It makes shifting much smoother on the Vanagon but will require some real work. As you can see, there is no kit to cover the shifter so you would probably have to custom make one yourself. Click through for a couple of videos of this thing in action. 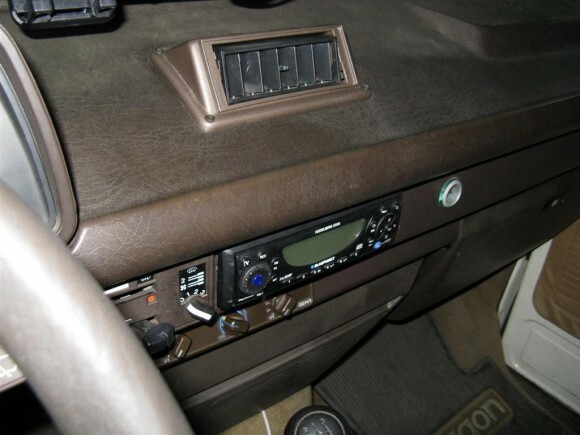 Dash board AC vent in a Vanagon? 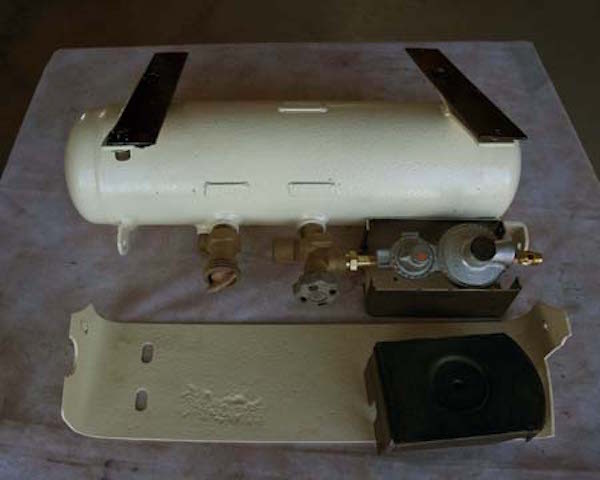 Some Vanagon owners use a BEHR Air Conditioning System to get cold air in the van. The Samba user, presslab, posted this picture of a vent that apparently came with his BEHR unit. It mounts right in the ash tray. 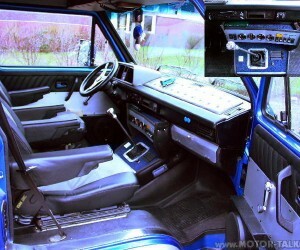 You can see his A/C controls just below his stereo. Some users have to remove the stereo to put vents in its place. Click through to see an example. I’ve heard of bike racks on Vanagons, but this is the first time I’ve seen a motorcycle rack. 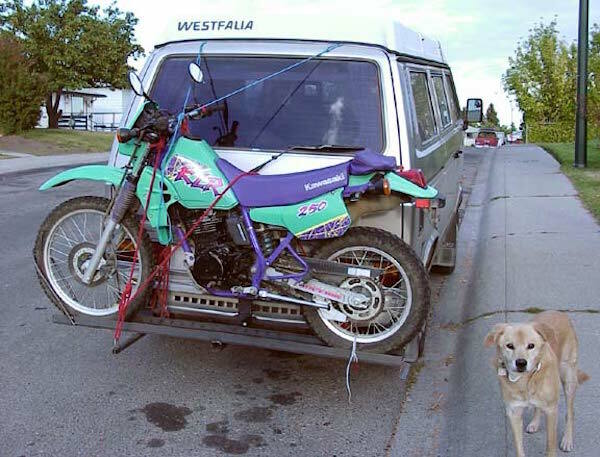 This guy made a rack to carry his 1995Kawasaki KLR 250 on the back of his Vanagon. It fits a 2″ receiver hitch he installed on the van, but can it hold the weight of his bike? He has a warning below. I made this motorcycle carrier and it fits in a 2″ receiver hitch which I installed on the van. The original bumper fits on the original bumper brackets, although the bumper is off in this picture. Motorcycle weighs 300 lbs wet, full tank of gas. I only used this carrier a couple of times, I don’t think a vanagon hitch can be made strong enough to be used like this. Notice his rear bumper is removed. 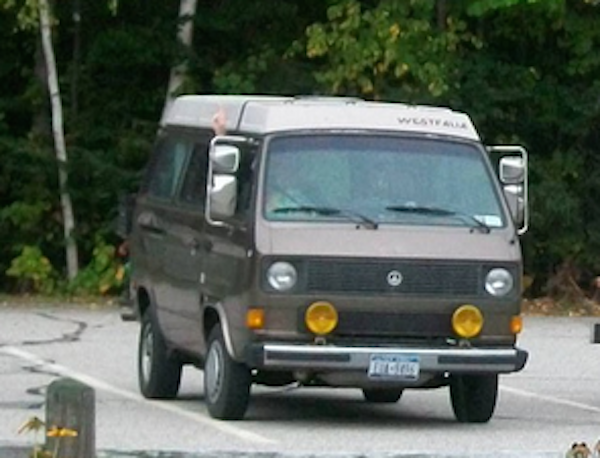 Some people like the look of truck mirrors on the Vanagon. They provide a better view of what is behind you and offer a specific aesthetic that some people like. The user above grabbed some mirrors off a truck to create his own look, but several after market options are available. Going with the after market options are a no-brainer, and make installation a snap. Click through to see some options. 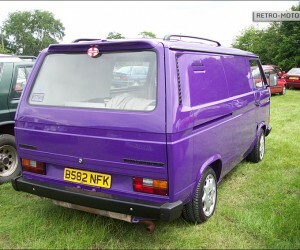 Blogger Chojin Chef has a 1984 Westy and has come up with a few good hack ideas. 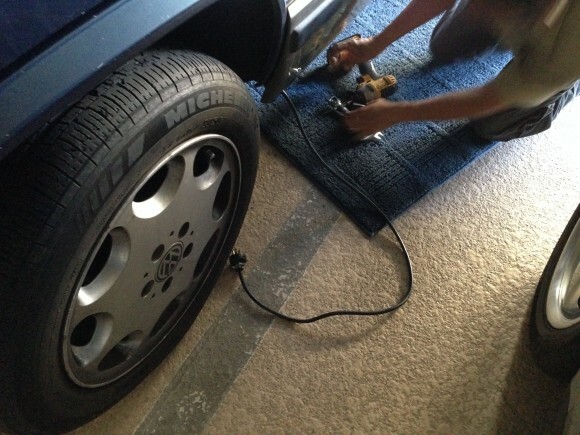 This hack enables him to open and close the rear hatch from the inside. 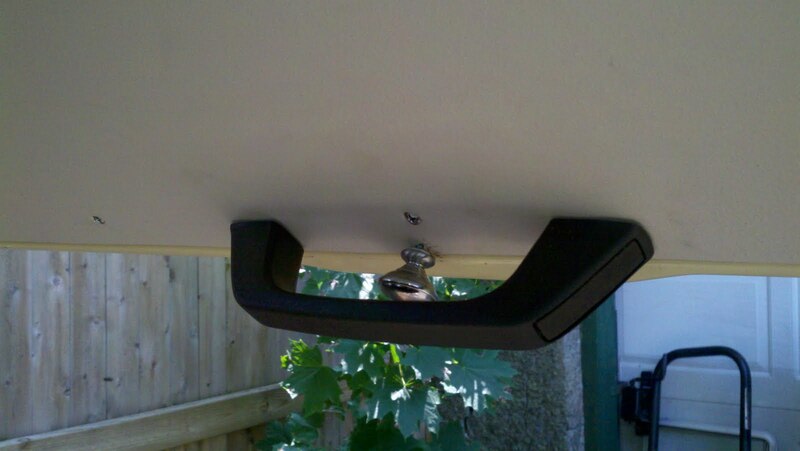 He installed a handle and a knob on the inside of the rear hatch. The handle allows him to pull the door closed, while the knob allows him to release the latch and open the door. How many times have you been laying in the back of your van and wished you could open the rear hatch for some fresh air? Click through to see how he did it. This hack comes from Dan Reed and I love it! I can’t say it’s the easiest way to stay cool in the summer, but if you are camping for an extended period it might be worth it. 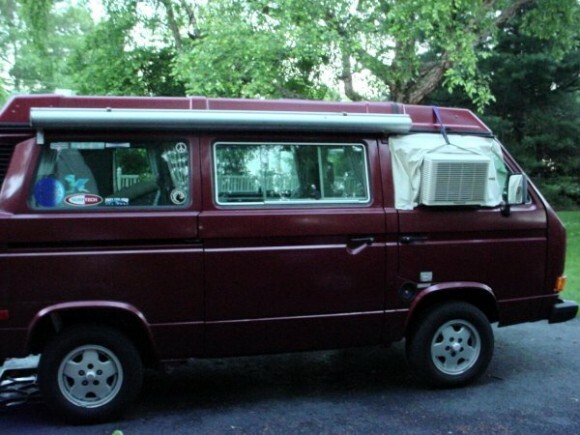 As you can see, Dan placed an air conditioner in the window of his Westy. Click through to see how he did it.